A loan of $10,000 helped my business partner with more local farms and package hummus in bulk to fulfill orders from Kroger and Fred Meyer stores. Michael Antonopoulos — affectionately "TonTon" —was the guy who always brought a warm smile and fresh homemade hummus to every gathering. It was hummus so good, so fresh, it left his friends asking: “Where can we get more?” Antonopoulos answered the question when he launched TonTon's Artisan Affections in 2012. With passion and business ingenuity, Michael has built a company from nothing to profitability in less than five years with a product that is grabbing the attention of the largest grocer in the United States. This loan is special because it helps a second-time borrower to continue to scale his mission-driven business. We are a mission-driven business from Southern Oregon with a deep commitment to our consumers, to our farmers, to our employees, to our community, and to this beautiful planet. Our passion is to create authentic foods that meet market trends, are healthy and taste amazing. Every one of our products is free from gluten, dairy, eggs, and soy. Partnering with local farms, we take pride in meeting the needs of consumers who follow gluten-free, vegan, and grain-free lifestyles by providing them with artisan delights they can truly enjoy. 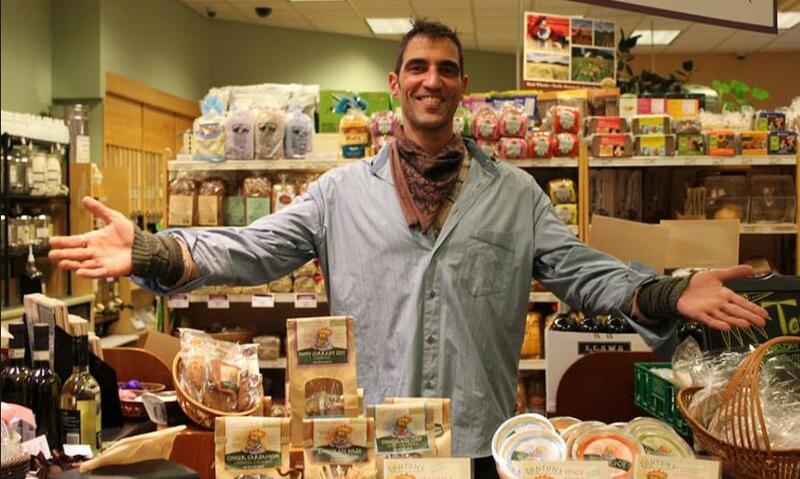 Each of our popular products meets the rising demand for locally sourced, non-GMO, gluten-free foods. Each product is a culinary expression of the Pacific Northwest and our founder’s passion for healthful indulgence. TonTon’s Artisan Affections, now in our 5th year in business, has become a regional standard and staple throughout much of Oregon. Since we began in the fall of 2012 we have sold over 80,000 units of hummus. Our hummus is now entering the Kroger Co (over 4,000 stores) network of grocers through Portland-based Fred Meyer (133 stores across 4 states). Our hummus will be sold on the Fred Meyer shelves and bulk food service in their Olive Bars (100 stores). This opportunity will quickly more than double our demand.